← Ten Years on the Web – can this really be true? This entry was posted in " 01: Astrological Journal UK: Not the Astrology Column " (8 articles) and tagged Astrological sign, Astrology, horoscope, Planets in astrology, Prometheus. Bookmark the permalink. Astrology is what it is.It neither wounds nor heals.It is a tool for deep enquiry into the self and others.We have free will and can use it to move forward or we can say poor me,I have a really difficult chart,I am a victim.That takes away our power and what we should do is give thanks for our difficult aspects and rise to the challenge.To give a personal example,I have Mercury opposite Pluto and suffer from dark and sometimes paranoid thoughts,I have learnt through meditation and other work to not take these thoughts seriously because they are only thoughts and are not real.Astrology is a true blessing. Thanks Anne,I will look forward to that. I’m not able to load the pdf of the Apollon Issue 3 here – if you go over to http://www.cpalondon.com/apollon.html you will be able to find and download Issue 3, as well as the other five issues of Apollon if you wish. My essay “Astrology as a healing and a wounding art” is on page 5 of Issue 3. Liz Greene’s “Wounding and the will to live” is very well worth reading, and also appears in that issue. Agreed, Mara…but also certain kinds of knowledge can burn, eg when you know your own chart and can see a major planet coming to trigger off a stellium of several planets. Much though you realise it’s going to be a great growth opportunity, you can also expect it to bring tough times. I know of what I speak, having a six planet stellium in one sign in the twelfth house. I don’t so much have transits as demolition jobs! But I’ve weathered each one, and come out ( eventually) strengthened. My chart is set up for just such “demolition jobs” occurring influenced by being the agent for breaking the hold of Ancestral, Familial, and Personal Karma. Im reminded of the Chinese Coin observance “Crisis :: Opportunity “ & “May you live in interesting times” The Japanese art practice of filling cracks in broken vessel with gold to accentuate, rather than hide the damage, or throw the vessel out deemed ruined. Too often I’ve had astrologers describe my chart, transits and aspects framed in judgmental negative manner rather than a nuanced study of more benefit. Maybe Astrology doesn’t so much wound directly but rather exposes or illuminates – brings into consciousness – the wounding that has already taken place and lies hidden – buried deeply in the subconscious – waiting for the right timing and a transit of Pluto, Chiron or Saturn to awaken it and allow healing to take place. In my – limited – experience of reading charts the client will always recognise the ‘truth’ of what the chart shows, even if that truth is a painful one. For most of us as adults the worst that can happen to us probably already has and we spend the rest of our lives trying to make sense of it. Shelagh Yes, just as Chiron was already a wise, skillful healer, metaphysician, who had separated himself out from among the other Centaurs well before receiving a wound that could not heal and continued carrying out his same work. It’s more the astrologers that treat a clients with difficult chart as the Biblical Job was judged, mistreated, scorned and rejected by even family and friends. These are important points to raise, Mara. Those of us who choose to enter the helping professions, from whatever perspective including the practice of astrology, bring our own wounds into our professional lives; this is why I think a minimal level at least of counselling training and supervision is important If we are to offer healing from our own woundedness and the compassion that ideally brings, rather than inflicting wounds on others by, for example, the unconscious misuse of power in relation to our fellow human beings who are vulnerable in their own ways – just as we are. My introduction to astrology was promoted by a vivid dream and it has been a blessing. That is not to say the journey has not had it’s dangers. The Saturn Pluto issue is particularly frught. My introduction to it’s demands could have been handled better. 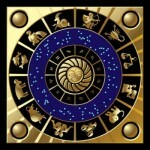 No matter how knowledgeable the astrologer you will receive this information packaged in their particular worldview. I feel this is because today’s astrology has been heavily influenced by the Greeks and a deep fatalism. 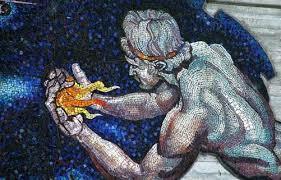 The Greek gods were an irracsable lot whose morality could be brought into question. If this is our model of the real, I suppose that’s what we get. I like to feel there is an alternative one that unifies, potentially, these warring fractures. Dreamwork has a great deal to give here, revealing, as it does the unity under the surface chaos and subsequent pain. Or, dare I say with the Bible” underneath are the everlasting arms”. Thanks for the wonderful question. After reading the comments what comes to my mind is Lilly’s statement: “I did conceive the good angels of God did first reveal astrology to mankind.” Which makes me think that it all is for the good as long as the motivation (and skill level) of the astrologer is up to the job of conveying angelic wisdom. Life is wounding so how can astrology not be wounding as well? But the hope and aim is that the wound be one that ultimately heals a more profound wound … I was hyper-careful in my choice of words as a consulting astrologer and often felt the presence of “angels” attending the readings. This is not, I gather, an uncommon experience among astrologers. Anne- I tend to process internally before I comment on anything written that deeply resonates as this post and Charlotte’s response to your inquiry did. I’ve enjoyed reading some of the comments as well. All have been very insightful for me. Astrology, in general, provided a much broader perspective on life in general and my life, in particular. 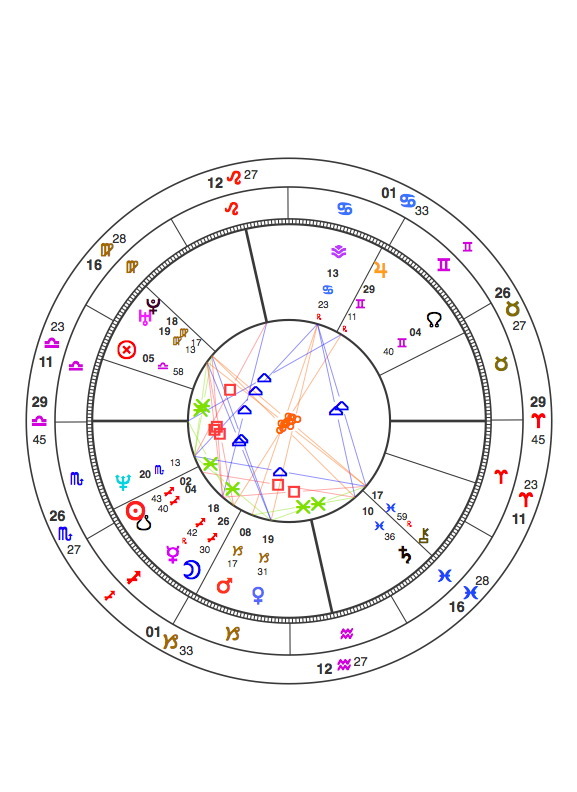 Like most people, I feel my chart is “challenging” and I often have to dig deep to find the blessings and lessons of some of my life experiences. And I am grateful for people who provide additional lines of sight into aspects I cannot see or understand as an experienced astrologer does. Astrologers, coaches and spiritual directors have been powerful guideposts to keep me from falling into the dark holes of depression, which used to consume me. Thank you. I agree with you, Anne. Completely. The healing comes in the conversing, sharing with those who think differently. Thanks for this post. The more extensively I study my own chart as well as the charts of my loved ones, I find myself plagued by anxiety at times. I get so caught up in some of the more negative aspects and placements that I kind of torture myself with the possibilities of what can go wrong. You are welcome, H A! Yes, there is a price to pay for having this kind of knowledge and we all go through those kinds of fears at times. If it’s any comfort to you, I really have a pretty challenging horoscope – but I work with what I understand ( bearing in mind that much of what goes on with our lives is unconscious until the Unconscious decides it’s time to erupt in some way or other in order to push our growth – if we are prepared to rise to the challenge) and as I have grown older and survived and grown through some very tough transits I find myself much more pragmatic and much less fearful. On balance, I would much rather know astrology and benefit from its at times hard-won gifts, than be without its guidance. Also – there is a lot of damaging dross out there that passes for astrological interpretation…be careful and discriminating in what you read, and who you consult.